4-Word Review: She’s a pinball wizard. Brenda (Brooke Shields) who goes by the nickname Tilt is a 14-year-old pinball machine champion. When she becomes fed up with her overbearing father she decides to run away from home. She meets Neil (Ken Marshall) a man in his 20’s who is struggling to establish himself as a country music singer. He schemes to use Tilt’s pinball talents by hustling pinball patrons at bars and arcades around the country, but his real motivation is to have Tilt beat Harold Remmens (Charles Durning) who is nicknamed ‘The Whale’ due to his immense weight. The Whale is an arrogant bar owner who seems unbeatable at pinball and due to a few run-ins that he has had with Neil the two have become bitter enemies. 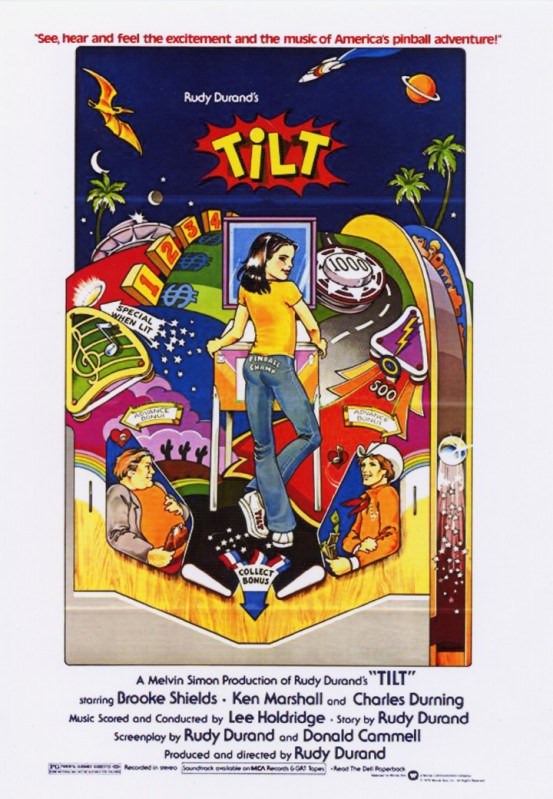 Neil hopes to shatter his ego by having him get beat by an adolescent girl in a so-called pinball showdown, but Tilt has other ideas. It is easy to see why this movie bombed at the box office and basically sat on the studio shelf for years. It seems to have no idea what audience to play too. There are too many adult references in it to make it suitable for teens especially preteens, but the story itself is so vapid that adults will be bored with it. The concept is offbeat enough that it might have worked as a comedy, or even parody, but director Rudy Durand approaches it as a standard drama, which due to the subject matter seems almost awkward. The 110 minute runtime is much too long for this kind of material and although it manages to move itself along it is never all that interesting with extraneous footage that should have been cut. Having faster cuts, juxtapositions, and even a non-linear narrative would have given it more energy and cinematic flair. Having the action revolve solely around pinball games isn’t interesting. It is hard to follow the games and the constant footage of showing the inside of the arcade game as they are playing it becomes monotonous and fails to elicit any excitement. They is never any explanation as to what special skills Tilt or The Whale have that allows them to be so good, but it might have been a little more enlightening had one been forthcoming. Shields is terrific and helps keep things afloat. She looks cute and wears pants with the words ‘pinball champ’ stenciled along her rear. Her ability and confidence at sharing scenes and holding her own with her much older adult counterparts is what makes her so special. One of the best scenes is when she hitches a ride with an ornery trucker (Geoffrey Lewis) who complains about the lack of morals in today’s world, but then turns around and tells her he has condoms in his shirt pocket and invites her to a rendezvous in the nearest hotel. Tilt says she will just as long as she can do it with both him and his wife, which gets her immediately booted out of the truck for being a ‘pervert’. Marshall doesn’t have as much charisma as his younger female co-star and his Texas twang was a bit too strong for my taste. He travels the country and stays in the same hotel room with the girl knowing full well that she is only 14, but makes no sexual advances, which of course is good, but I kept wondering if this where the real world that he would most likely have tried something. I also found it strange that Tilt’s father (amusingly played by Gregory Walcott in a brief bit) wouldn’t have every police force in the country looking for her and once caught Neil would be thrown in jail even if he didn’t do anything because most likely no one would ever believe him. Durning is excellent as always and gives the part a nice hammy turn and makes the movie, at least when he is in it, like the campy comedy that it should be. The little dance and moves that he makes while he plays the pinball games are amusing. His stomach bulges out even more than normal making it seem almost like he is pregnant. When Neil meets him after several weeks of not seeing him and states “You look like you have lost some weight” is the film’s one and only funny line. The film’s final sequence in which Tilt and The Whale get together late at night in an empty bar and challenge each other to a pinball contest is the best scene in the whole movie. Their banter and interactions with each other gives the film a unique flavor. The surprise twist that occurs at the very end is cute and endearing and helps give this otherwise flat film more points than it deserves. 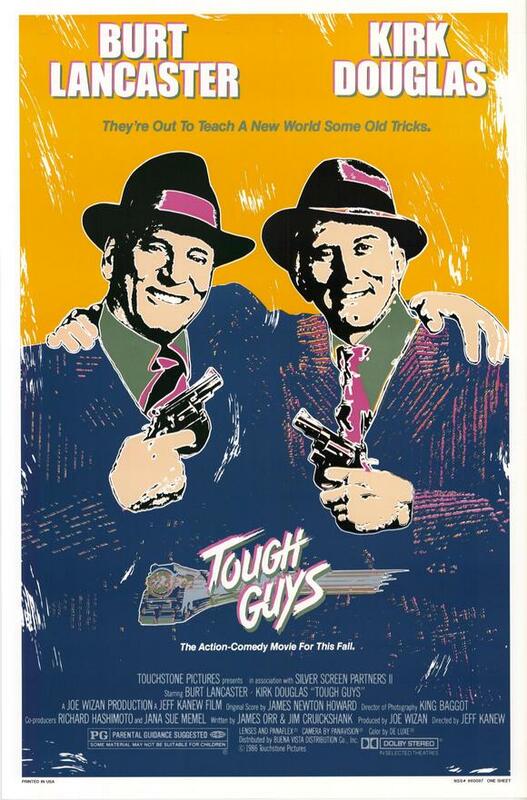 Also, look quick for Lorenzo Lamas and Fred Ward in small roles.